This fancy pants appetizer is a snap to make! It’s the time of year for gatherings galore – which means growing your repertoire of potluck dishes to impress your hostesses and guests. 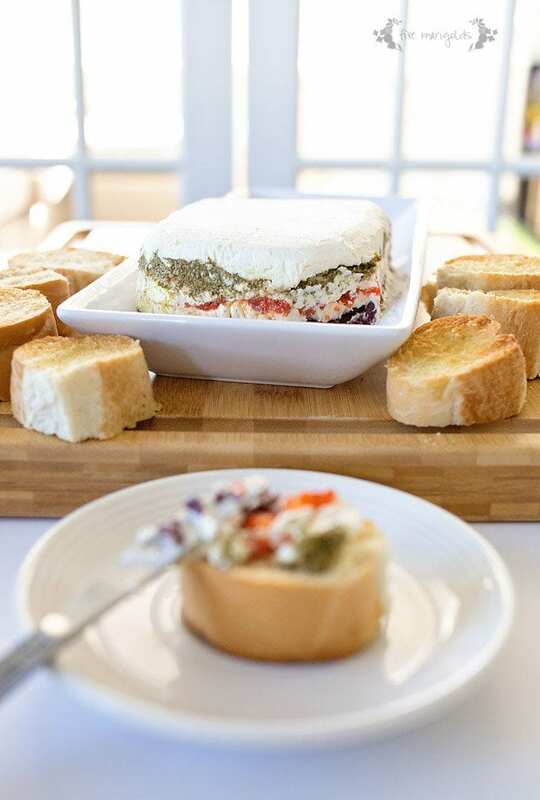 I’m going to show you a dish that looks all fancy-pants, but is super easy to make: Pesto, Olive and Roasted Red Pepper Cheese Torta Appetizer. 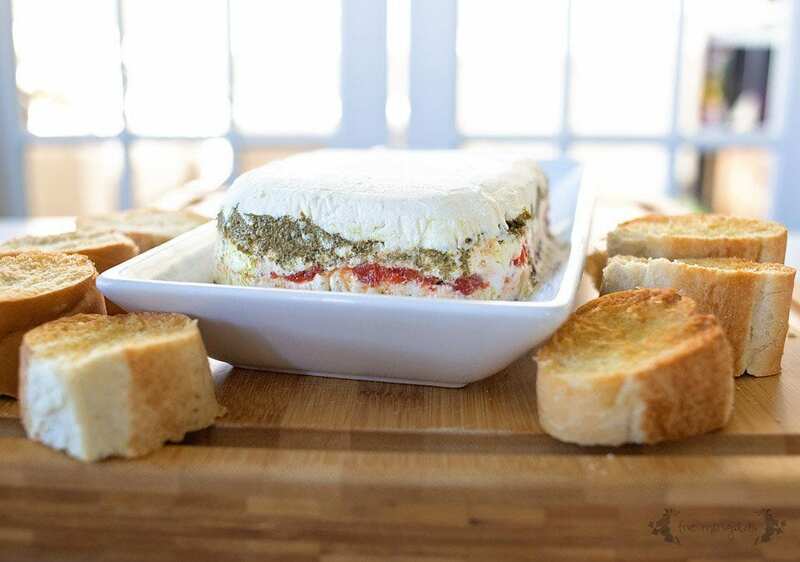 Combine Feta and cream cheese until well mixed. 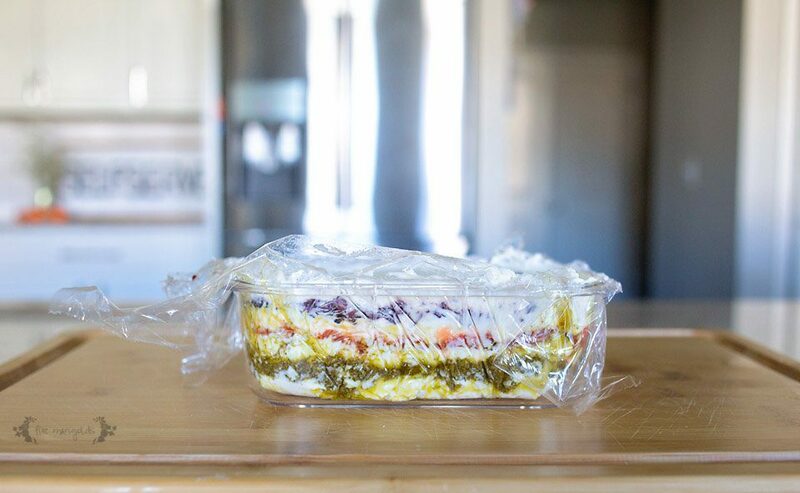 Then, line your dish with plastic wrap – leaving some overhang (this step will help the Torta release and keep it’s shape later). Begin layering ingredients. Start with spooning one fourth of the cheese mixture, pressing it evenly into your dish using a rubber spatula or the back of your spoon. 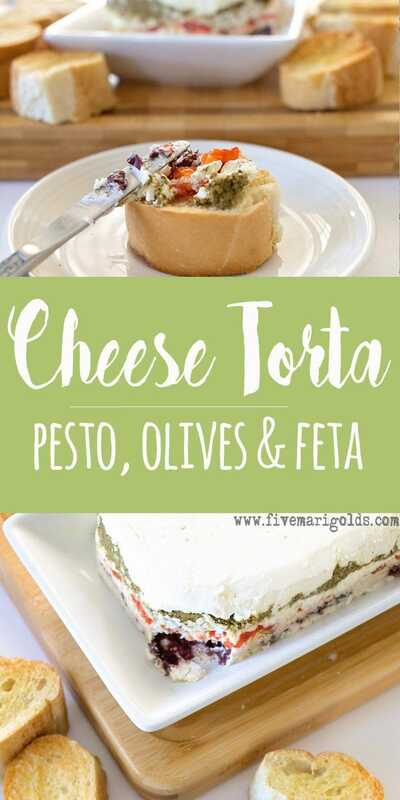 Spoon a layer of pesto evenly on top of the cheese mixture, then gently spoon another one fourth of the cheese mixture, spreading it evenly. Repeat these steps, next with roasted red peppers and cheese mixture, then the diced olives and last bit of cheese mixture. I like using my Rubbermaid Brilliance containers for this recipe, because I can clearly see how my Torta layers are looking while I work. For best results, refrigerate the Torta for at least two hours. 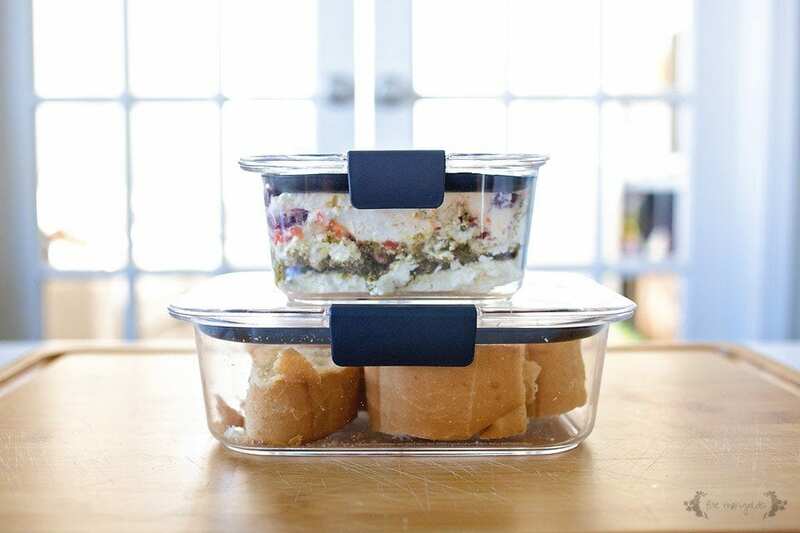 There are a lot of strong smells in this recipe, but the airtight seal on these containers means no smells leaching to other foods in the fridge. They are also 100% leak-proof, so I don’t have to worry if my container is thrown off the seat on the way to my dinner party. After all, pesto sauce and car upholstery doesn’t mix! 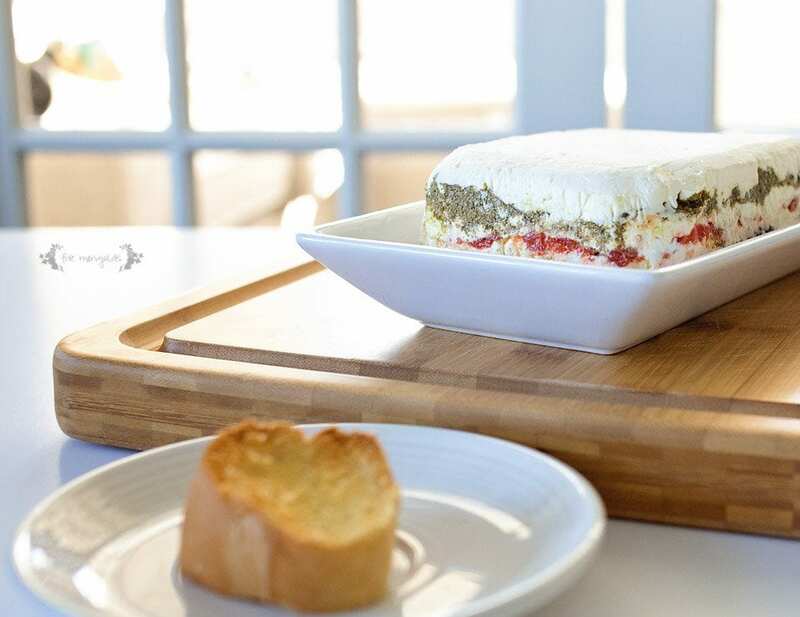 To serve, simply invert the Torta onto your serving dish and remove the plastic wrap. Serve with toasted French bread. Simply slice your bread to the desired thickness, brush the slices lightly with olive oil, and broil on low for just a few minutes, until slightly brown. Isn’t it pretty? It tastes even better. This savory appetizer is sure to get rave reviews at your next holiday gathering. I wouldn’t expect any leftovers on this dish, but in the off chance that you do, simply place your storage container onto the serving plate and invert, locking the lid to close and seal in the moisture and flavor. No need for plastic wrap to store the leftovers! 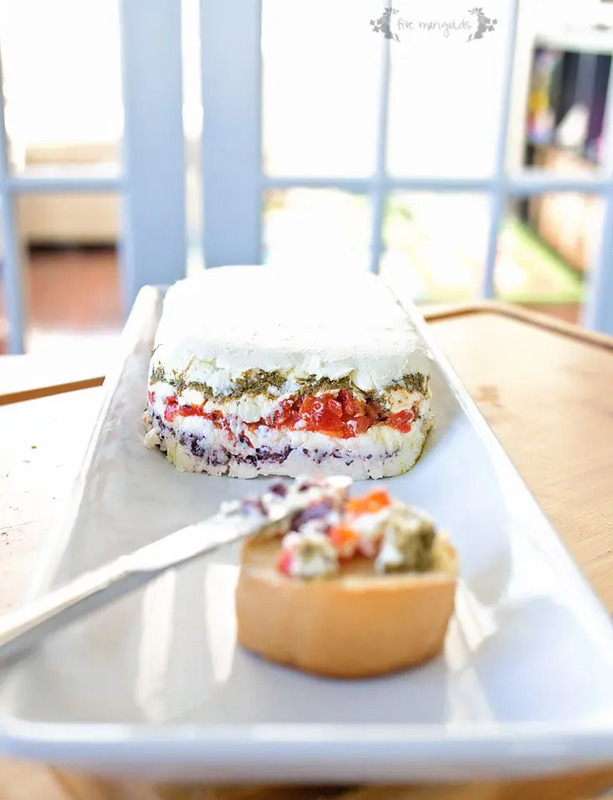 You can store and enjoy the leftover Torta straight out of these dishes, because they are also resistant to food stains. In a medium bowl, combine cream cheese and feta cheese. Line a loaf pan or dish with plastic wrap, leaving some overhang. Spoon one fourth of the cream cheese mixture evenly on the bottom, then smooth with the back of a spoon or rubber spatula. 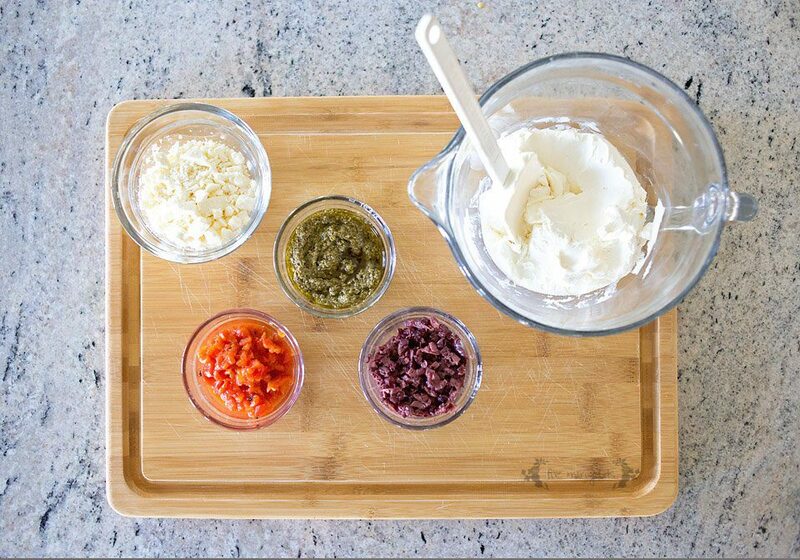 Add pesto evenly, then spoon one fourth of the cream cheese mixture evenly on top, spreading carefully to smooth. Add chopped roasted red peppers, then spoon one fourth of the cream cheese mixture evenly on top, spreading carefully to smooth. 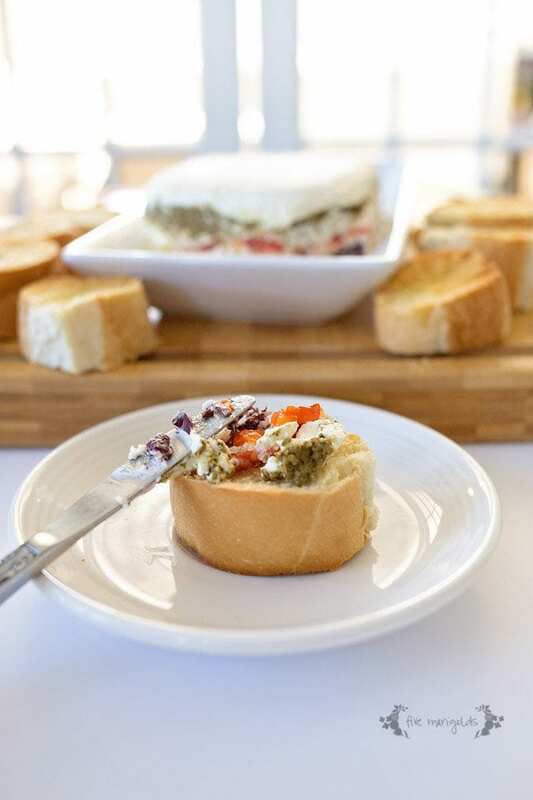 Finally, add chopped olives, then spoon one fourth of the cream cheese mixture evenly on top, spreading carefully to smooth. For best results, cover in airtight container for at least two hours. Meanwhile, slice French bread and lightly brush with olive oil. Broil on low for a few minutes, until slightly brown. Once ready to serve, invert the mixture onto a serving plate and remove the plastic wrap. Serve with French bread and crudite. 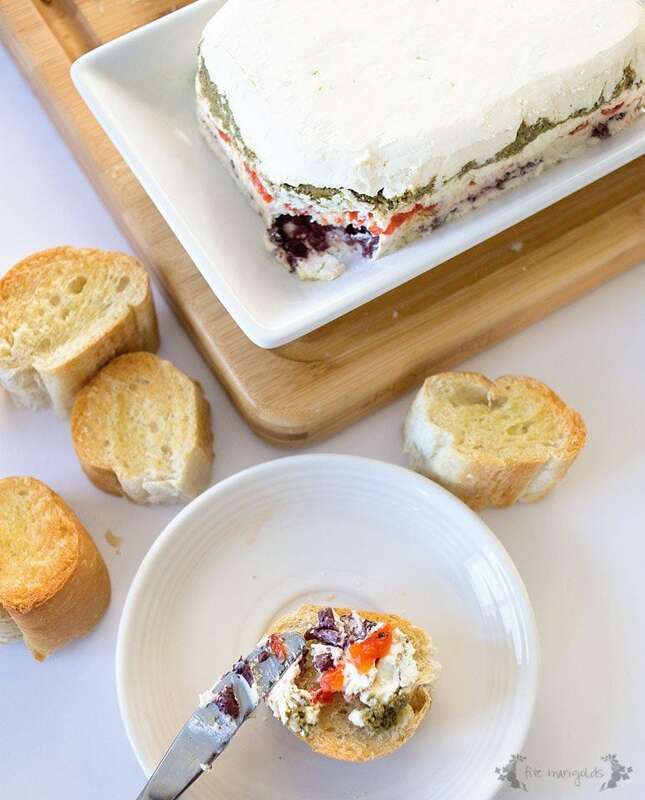 Would you try this Cheese Torta Appetizer at your next holiday party? Tell me your go-to appetizer in the comments below! 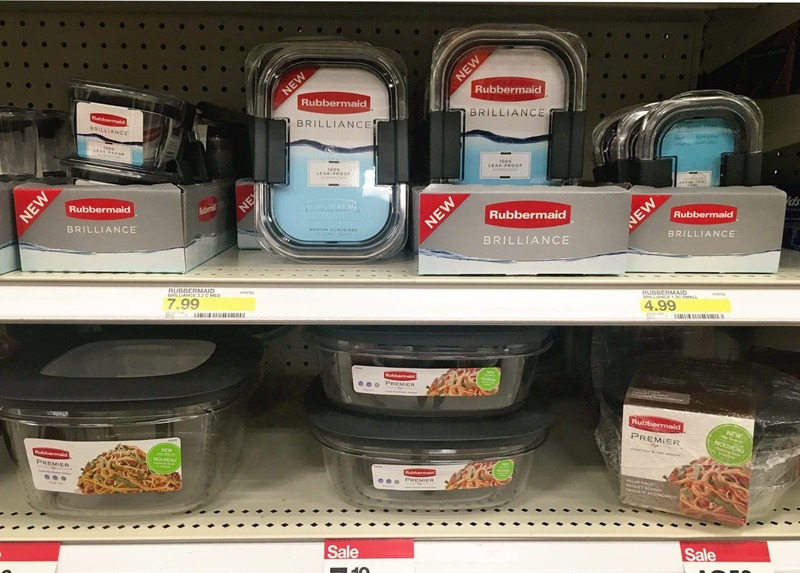 Then, head over to Target to pick up a mix and match set of stackable Rubbermaid Brilliance containers. Be sure to use this 10% savings offer! This looks delicious! Like so delicious I could eat it all right now 😐 LOL! It’s definitely dangerous that way! This looks really easy to make, and I bet it is a big crowd-pleaser. It looks delicious. I mean, you had me at cream cheese. Awesome!Let me know how you like it! This looks UNBELIEVABLE!!! I can actually taste it through the screen (ha!) I will be adding this to my MAKE NOW list for sure! You can totally omit the olives on this recipe! If so, I’d choose to use the substitute ingredient of sun dried tomatoes instead of roasted red peppers to add a richer flavor. Includes all the tastes I love! But I had an unbelievably difficult time spreading the cheese, first onto the plastic and then over the wet layers of pesto/peppers/olives. I even softened the cheese mixture to make it as spreadable as possible. Any tips to help me out? Oh wow, how about a video of you making one! I’m so glad you like this recipe! I think the trick is to just focus on this looking nice on the top (first cheese layer) and the edges, and don’t worry about the middle as much! 😉 I, too, make sure to use softened cheese. I’ve had the best success by dropping it by spoonfuls using a quick-release scoop, and then using a silicone spatula to spread it. On top of the wet layers, I use the same technique but also “press” the cheese using the spatula to evenly spread it. I hope that helps! I always add minced garlic and basil to the cheese mixture. Don’t care for olives, so use pesto and Sun dried tomatoes in olive oil for the other layers. Best appetizer ever-don’t like remaking other recipes, but this works for me. Those sound like delicious additions! I sometimes add a greek rub to my cheese mixture and I, too, also love sun dried tomatoes for this! That sounds incredible! 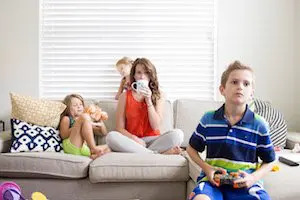 Thanks for sharing your spin on leftovers! Hi Cathy! I used the medium container for this recipe. Enjoy! I’ll be making this for a party next weekend. I’ll roast my own peppers and make my own pesto because that’s the way I am. I also plan to cut petals from some of my roasted peppers to make a poinsettia to decorate the top. I’ll place the “flower” on the bottom and then very carefully cover it with the first layer of cheese. I’m also thinking of putting the cheese in a food processor to get a better blend. How’s that sound? When you say you used a “medium” container would you say about a quart size dish? Thanks. Denyse – I have to see this roasted pepper poinsettia when you’re done – it sounds AMAZING! The “medium” dish I referred to was specific to the Rubbermaid Brilliance container I used – it holds 3.2 cups, and the Torta filled every last bit of it! Thanks for your info. Let me know how I can send you a picture. I’ll be putting it all together Saturday morning and unmolding it at the party on Saturday night.